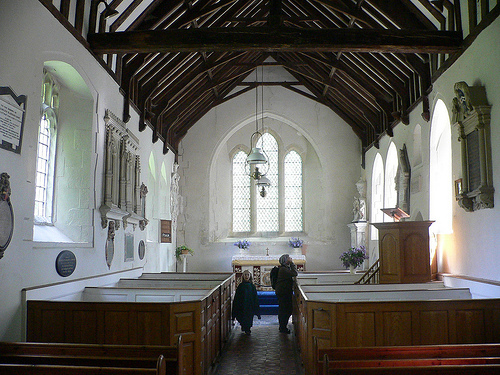 The quiet lane to Folkington leads to a Grade 1 Listed church dedicated to St Peter, and onto the South Downs. 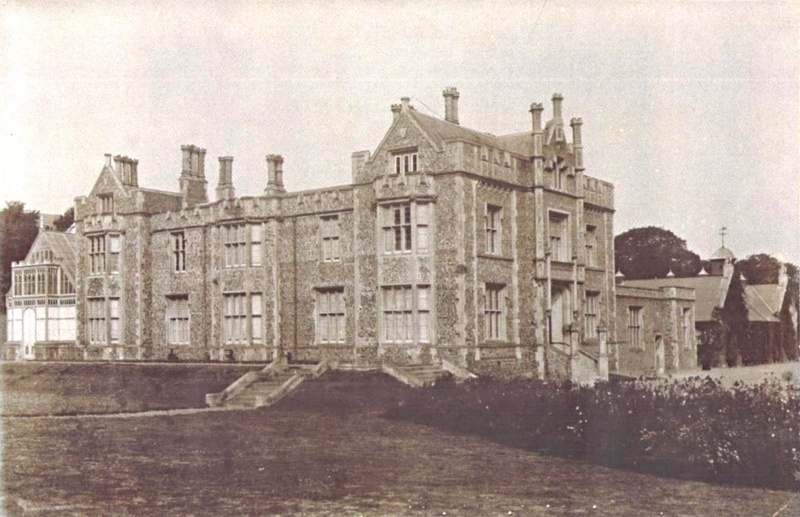 Folkington Manor was built in 1843 by the architect William John Donthorn (1799-1859), near the site of a manor that was recorded in the Domesday Book in 1086. In the 1240s, that house had passed on the marriage of the heiress Olympia de Folkington with Sir John de la Warre, Sheriff of Herefordshire, in whose family it descended until purchased by Sir Richard Sackville, known as Fill-Sack on account of his prodigious wealth, in 1543. Eight years later, the bankruptcy of his great-grandson, the Second Earl of Dorset, brought about a forced sale for £2300 to a London merchant. The Place, as it was formerly called, was held on a long lease by the Culpeper family. 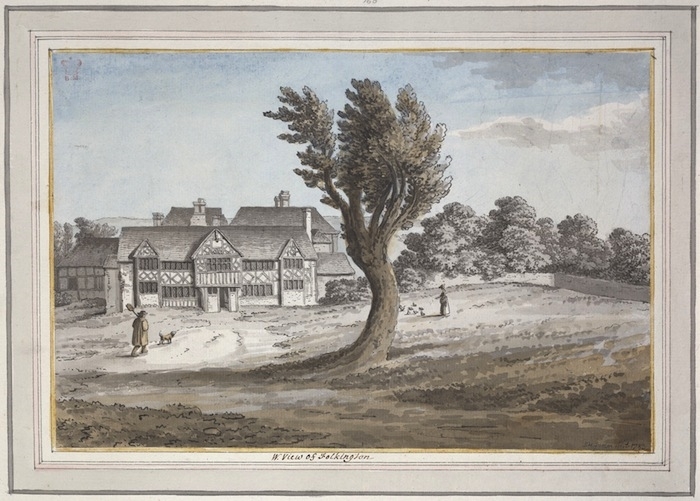 In 1652, just after the lease expired, Folkington was purchased by Sir William Thomas, and was one of only three houses in Sussex to be depicted in the fashionable Britannia Illustrata of 1707, the year after it had been inherited by William Dobell. 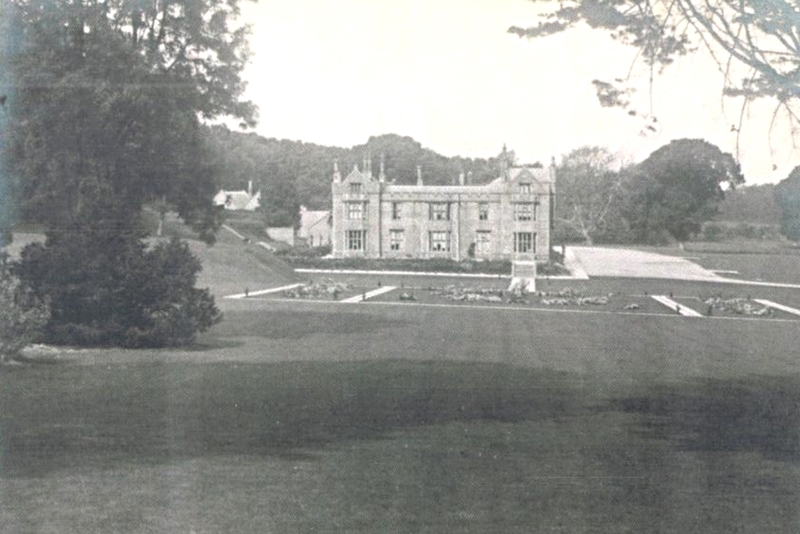 The old house was largely demolished in about 1820. 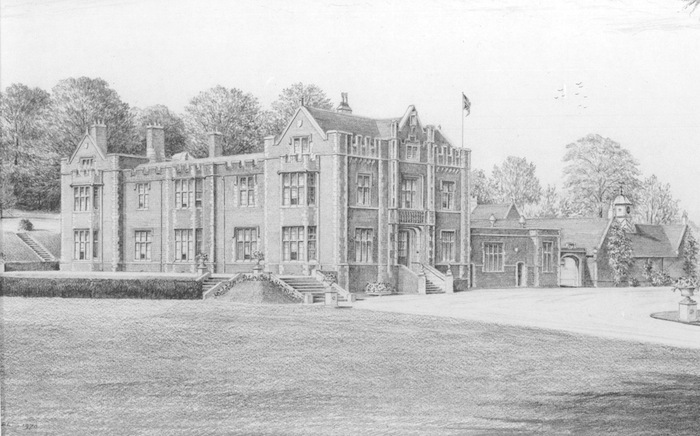 In 1840 Folkington, together with the manor house at nearby Wootton, were bought by Thomas Sheppard, M.P. for Frome, who three years later built the present manor at a new site slightly to the north of the church. Folkington Place, the remnants of the original building on the manorial site, retains some architectural elements of the ancient home of the Sackvilles, Culpeppers, Thomases and Dobells. 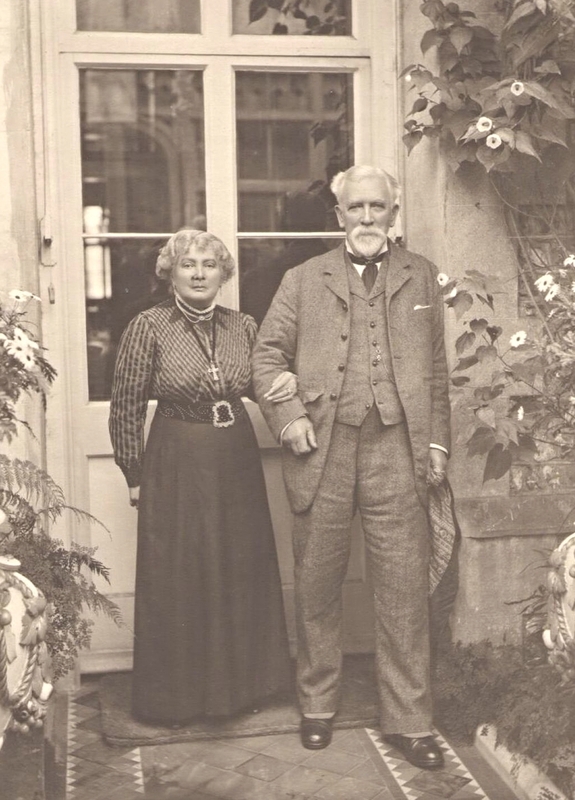 After the death of Thomas Sheppard’s son in 1875 both properties were sold to Mr James Gwynne, an engineer and antiquary, and in 1915 passed to his son Col. Rupert Gwynne, M.P. 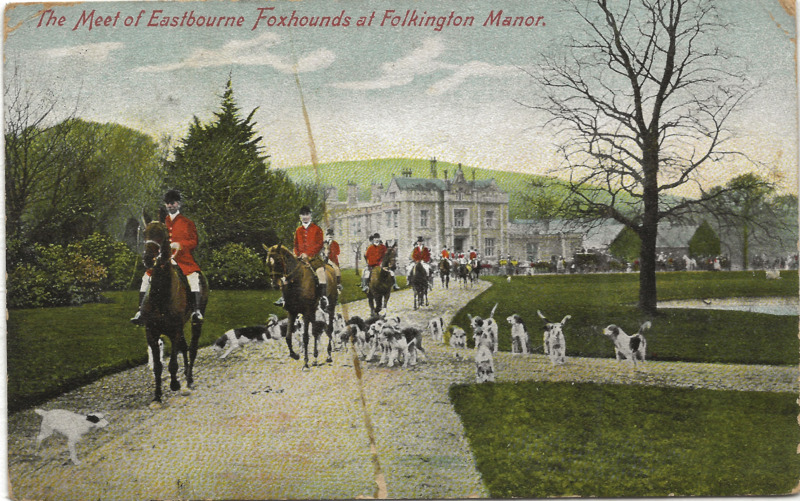 for Eastbourne between 1910 and 1924. Rupert Gwynne was father of Elizabeth David, the pre-eminent British cookery writer of the mid-20th century, and brother of Violet Gordon Woodhouse, the influential and highly acclaimed musician. On his death the house passed into the hands of his younger brother Sir Roland Gwynne, Mayor of Eastbourne 1928-31. As noted in a Country Life editorial in 1958, Folkington has long had a close connection with the arts, a tradition that continues to this day. Ronald Stacy-Marks purchased the house and relatively a few acres in 1968. An initial restoration was undertaken after the property had been empty for five years. The Flint Rooms were at the core of the families well-respected fine-art business with the Manor containing a number of galleries suitable for displaying large amounts of fine art. Adam Stacy-Marks took over the family business in 1987 increasing and completeting the current estate. In Autumn 2010 Folkington Manor was purchased by the Brünjes family and has recently undergone complete restoration. Dr. Harry Brünjes spent his formative years in showbusiness before a career in both medicine and the city. His wife, Jacqueline Brunjes (stage name Jacquie Storey) is a well known singer, dancer, choreographer. Their daughter Emma and youngest son Ralph are theatre producers in the West End, eldest son Harry is a writer and film director, whilst Eric is a musician and composer. Jacquie has undertaken many restoration projects, including Ovingdean Grange which was their previous family home, formerly owned by comedian Max Miller and sold to actor/comedian Steve Coogan. East Sussex County Council 2012.